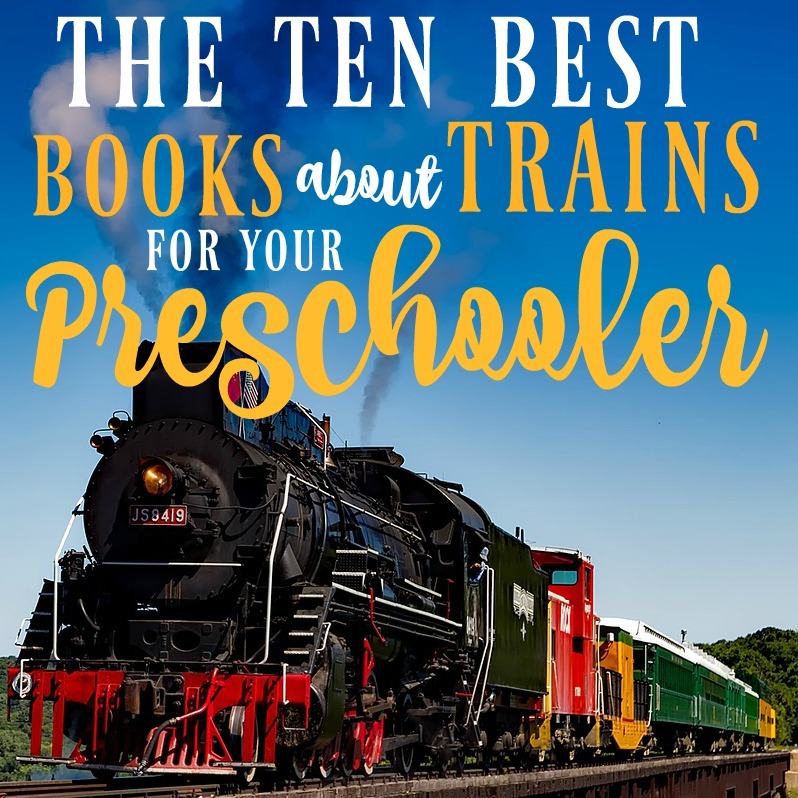 Locomotive is at the top of the list because it’s honestly the best book about trains (for kids) that you can find. The illustrations are amazing and it teaches you about some of the first trains that powered through the US heading West in the late 1800’s (but more as a story than a history lesson). 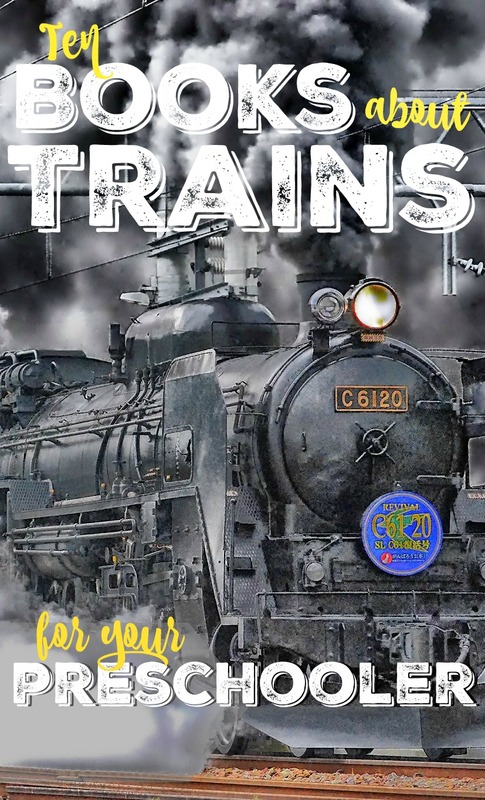 The Big Book of Trains is packed with more information about trains than you can ever imagine. 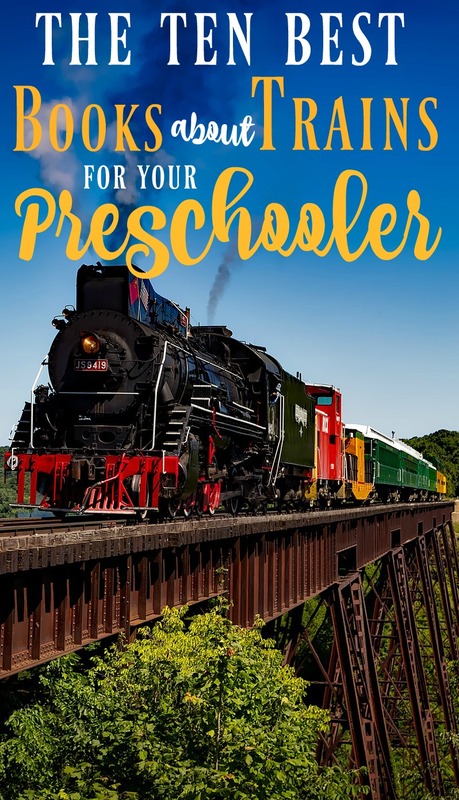 It’s basically a train textbook for preschoolers…but one they’ll love. It teaches you everything you can think of, from the evolution of trains, to the largest, heaviest, and longest to ever exist. The info is accompanied by some great pictures, which is obviously a must-have for these little guys! The Polar Express is such a popular Christmas classic that you almost forget it is about a train! My son absolutely loves the Polar Express, and I assure you we read it ALL YEAR LONG. The book has a great story line, but the illustrations are really the best part. This is one of the few train books I read as a child and I can still remember the images. If your toddler loved First 100 Words, then they will really love My Big Train Book (this one is HUGE though, not pocket-sized like First 100 Words). My Big Train Book is basically a giant picture book of every type of train you can imagine. This one is definitely a good choice for preschoolers or toddlers that still don’t like to sit very long for the longer story-type books about trains. Where Do Steam Trains Sleep at Night is an adorable book perfect for bedtime stories. It’s very reminiscent of the popular book Goodnight, Goodnight Construction Site, only for – you guessed it – preschoolers and toddlers that love trains. The best part is that it mentions a dozen different trains, all with their very own parents putting them to bed (it really is adorable). The Little Red Caboose (part of the Little Golden Book Collection) is a cute underdog story about – yep, a little red caboose. It’s one of my son’s absolute favorites. It’s a really quick read and a simple enough plot line for your preschooler to understand. But more importantly, who doesn’t love an underdog story? The Little Engine that Could is a great classic that all train lovers need to have in their collection! If you have a toddler or preschooler that loves trains AND still needs to be potty-trained, The Potty Train is the book for you. Potty training is hard work, so finding a way to make it enjoyable is beneficial for both you and your little guy. And for train loving toddlers and preschoolers, this may be the best way to do that! The Goodnight Train is a fun, whimsical bedtime story about a train that takes children off to Dreamland. It’s got really fun illustrations and is a quick, rhyming read, which is perfect for toddlers or younger preschoolers that don’t have much of an attention span. Chugga Chugga Choo Choo is more geared towards toddlers than preschoolers, but my 3 ½ year old still loves it and requests to read it often. It’s a rhyming sing-a-long type book with lots of fun train sounds to keep your little guy engaged. Some links on this page may contain affiliate links. This means that if you purchase one of those items, I will receive a commission at no extra cost to you. All opinions are my own and I will never recommend a product that I wouldn’t (or haven’t) purchased myself. Thank you for supporting MBA sahm!